Yale University Press, 9780300225884, 336pp. Often seen as the author of timeless Christian theology, Paul himself heatedly maintained that he lived and worked in history’s closing hours. His letters propel his readers into two ancient worlds, one Jewish, one pagan. The first was incandescent with apocalyptic hopes, expecting God through his messiah to fulfill his ancient promises of redemption to Israel. The second teemed with ancient actors, not only human but also divine: angry superhuman forces, jealous demons, and hostile cosmic gods. Both worlds are Paul’s, and his convictions about the first shaped his actions in the second. Only by situating Paul within this charged social context of gods and humans, pagans and Jews, cities, synagogues, and competing Christ-following assemblies can we begin to understand his mission and message. This original and provocative book offers a dramatically new perspective on one of history’s seminal figures. 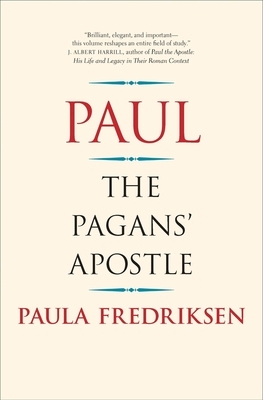 Paula Fredriksen, Aurelio Professor of Scripture emerita at Boston University, is a member of the Humanities Faculty of the Hebrew University, Jerusalem.